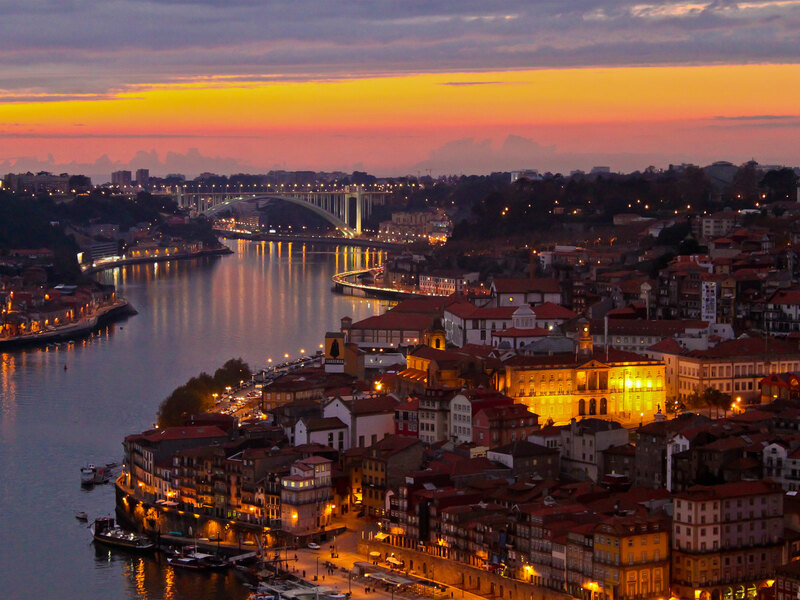 Overlooking the Douro River, Porto is one of the most ancient European cities. It was born and developed from the northern bank of this river during the Middle Ages. 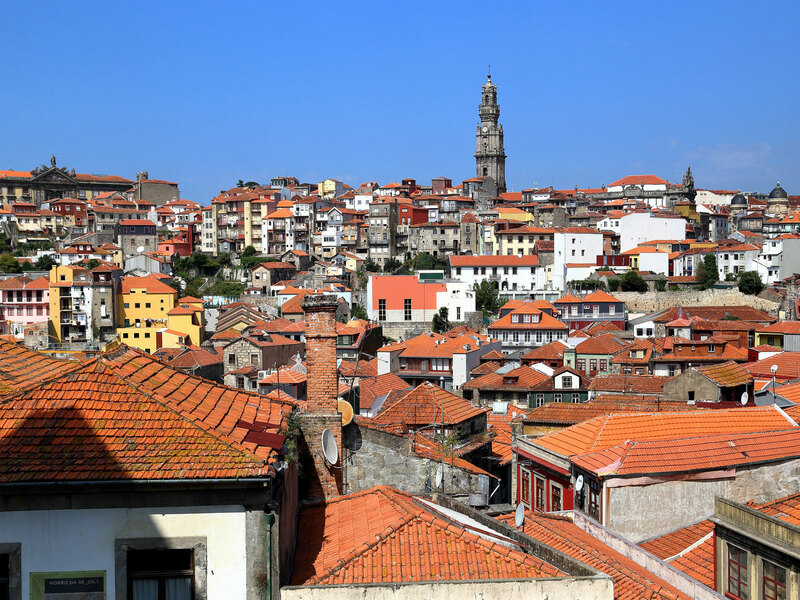 One of the most significant aspects of Porto and its historical centre is its landscape, combining harmony with the urban structure and presenting a frame of rare beauty. The city was classified as World Heritage by UNESCO in 1996. 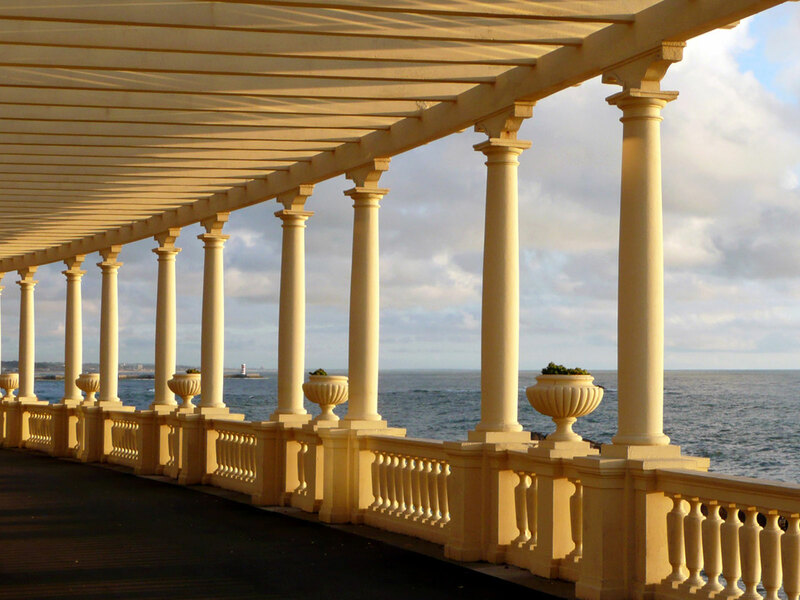 When discovering Porto, you will find many surprises. 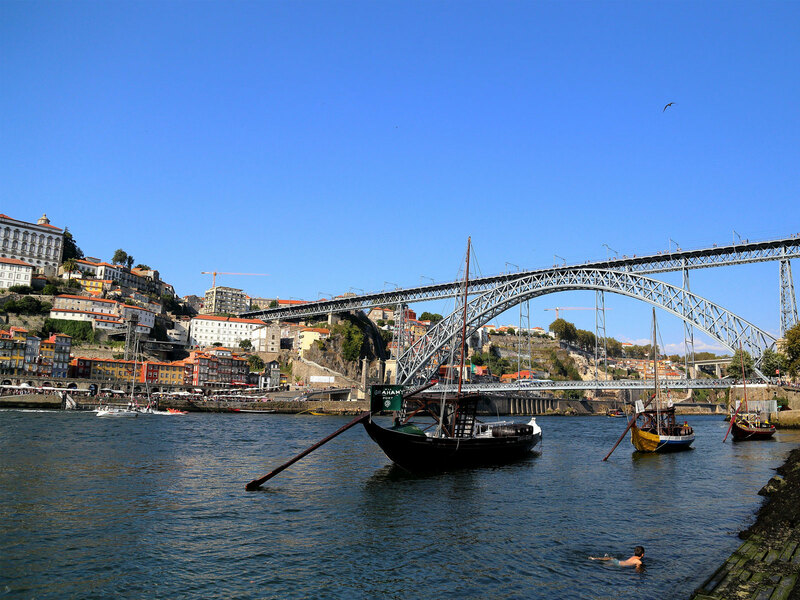 Besides its welcoming and conservative environment, Porto is also contemporary and artistic. This is shown not only in the streets, architecture, monuments and museums but also in the terraces, restaurants, leisure and shopping areas. Arrival point: Francisco Sá Carneiro Airport (phone +351 229 432 400), 11Km north of the city centre. Transport from/ to the airport: metro or taxi. 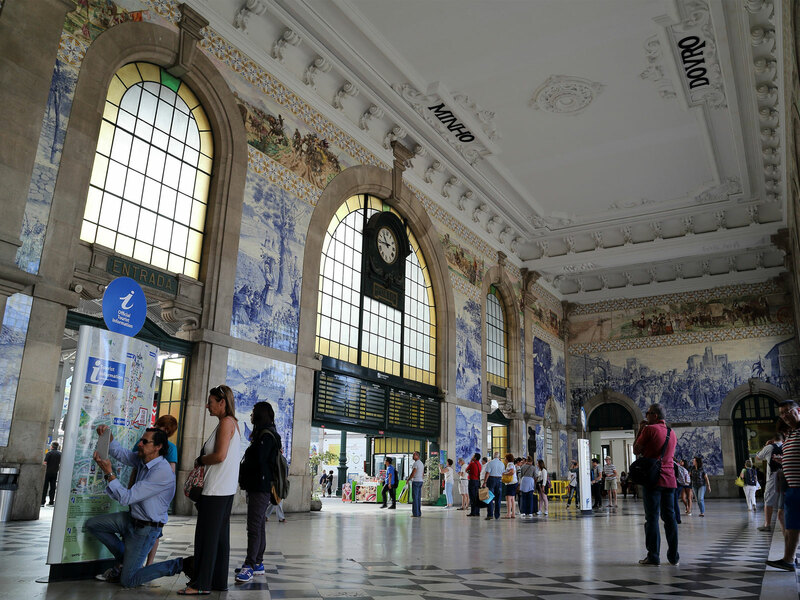 The surface Subway (Metro) line is a quick connection between the airport, the city centre and the mains hotels in Porto, with services every 20 minutes. Don't lose a minute. Get in the Violet (E) Line. Line E (Violet) connects Airport Station to Estádio do Dragão Station, and, naturally, to all metro’s network. Line E (Violet) comes to add 1,6 km extension to Metro do Porto system, that now counts a total of 60 km and 68 stations. The service defined for Line E (Violet), Airport – Estádio do Dragão, assure a direct (without any overflow) and very fast link (trip times around 25 minutes) to the Oporto city centre. The occasional Andante title required for travelling between the Airport Station and Oporto city centre is a Z4. In the Andante shop located in the arrivals zone of the Airport you can also buy the Andante Tour, an unlimited and intermodal title valid for 1 or 3 days. A taxi to the centre costs approximately 25 €. However, taxis charge an additional 20% from 22.00 to 06.00. An additional surcharge of 1.50 € may also be applied for extra luggage, although wheelchairs and other equipment required by physically handicapped people are transported free of charge. The price is the same, regardless of the number of people sharing a taxi (maximum 4 per taxi). 3 hours from Lisbon, 12-14 hours from Madrid. From Lisbon: Santa Apolónia/Gare do Oriente. There are three international connections daily to Paris via Madrid and several trains daily to Lisbon. For more information please visit cp.pt. It costs approximately 90€ per day to rent a car. To rent a car you can contact Skyros-Congressos - Phone: +351 22 616 54 50. Street parking usually costs about 1€ per hour in the city centre. The phone number of the taxi call centre in Porto is +351 22 5073900. Taxi ranks can be found at various locations in the city centre. Almost all the conference hotels have a taxi rank located at a distance of no more than 150m. A taxi from the airport to the city centre costs approximately 25€. Porto has a mild climate. For more information please visit the following website. You are advised to bring some Warm clothing. For sightseeing tours you can contact Skyros-Congressos - Phone: +351 22 616 54 50. The local currency is the Euro (€). Banks in Portugal are open Monday-Friday, 08.30-15.00 (Banks at the airports is open 08.00-20.00). Portugal also has an extensive network of cash dispensers which operate 24 hours a day. The most traditional shopping area is Rua Santa Catarina, along with the narrow streets going up and down from the city center till Ribeira, by the Douro river side. Several shopping centers, in Porto and around it, are open everyday till 23.00. Besides the major international franchising and brands, national textiles, leather, pottery, shoes, crystal, wines and gold handcraft can be found in the shops. All non-EU citizens should check if it is necessary to obtain a visa, which can be obtained at the Portuguese Embassy or Consulate in their own country. A list of countries that require a visa to Portugal is given on the following website. The local time in Portugal is the Greenwich the same as in London. Portugal uses a 220V system, sockets have the European standard and plugs are two-prong.